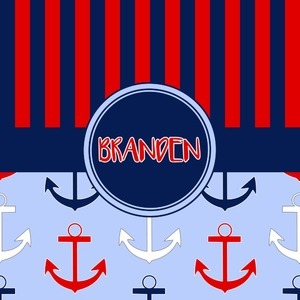 This anchor & stripes pattern is a classic nautical including the colors. 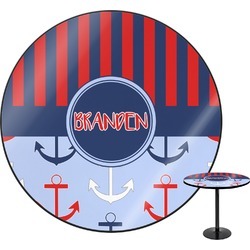 We chose the classic nautical red and navy blue striped on top, with anchors in red, white and blue on the bottom. We chose a solid navy ribbon along with a circle label and personalized it with a name.